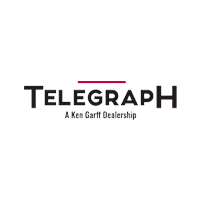 Auto Financing in Taylor | Telegraph Chrysler Dodge Jeep Ram " "
Telegraph Chrysler Dodge Jeep Ram can help shoppers near Taylor, Detroit, Ann Arbor, Southgate, and Dearborn Heights find the right auto loan or lease for their new and used car, truck, and SUV. Whether you are looking to lease a new Ram 1500 or would like to purchase a pre-owned Jeep Cherokee or Chrysler Pacifica, we can find a finance solution tailored to your particular needs. If you are having a hard time choosing between a lease or a loan, we are happy to explain the details of each to help you decide. We will work to find you a new or used car, truck, or SUV you will love, along with a payment you can be comfortable with. Telegraph Chrysler Dodge Jeep Ram welcomes drivers from Taylor, Detroit, Ann Arbor, Southgate, and Dearborn Heights to view our large selection of new and used inventory and speak with our experienced lease and finance experts. Give them a call at (734) 309-7247 or visit our dealership located at 12000 Telegraph Road in Taylor, MI 48180.